About us - Quiltmania Inc.
Quiltmania is a publishing company specializing in publications dedicated to Patchwork and Quilting. Our three magazines feature the different worlds of Quilt and Patchwork: Traditional, Modern and Vintage. 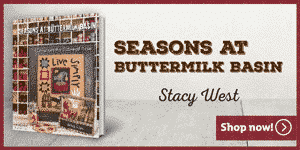 Quiltmania publishes 10 new books every year. We collaborate with outstanding artists whose talents and styles range from traditional piecing, appliqué, modern style, reproductions of antique quilts to collectible works—something for everyone! Our paper books are available in both soft and hard cover form. Over the past year, we have added a series of digital format books (e-books) to allow access to out-of-print books by your favorite designers. The books of Quiltmania Inc.
Quiltmania has published numerous best sellers in the world of quilting and patchwork, from Willyne Hammerstein’s Millefiori saga, to Di Ford’s Primarily Quilts series, and Petra Prins promenade books and patterns. Traditional Quilts inspired by or reproduced from museum pieces. Japanese Quilts, including works by Yoko Saito, Reiko Kato, Akemi Shibata, Kumiko Miyamoto, Haruyo Kiyama, Misao Wada and Shizuko Kuroha. 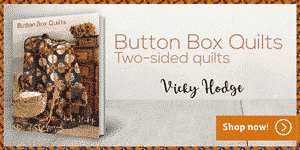 Country and Folk Art quilts with their rich blend of materials and woolens. The traditional revisited where old motifs take on new freshness. Prestigious collector books that journey through different periods of time exploring the history of quilts throughout the world. Works dedicated to special techniques such as Broderie Perse, Boutis, Mola, ribbon embroidery, punch needle, paper piecing, freehand appliqué and rug hooking. 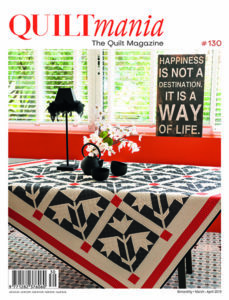 Quiltmania, The Quilt Magazine is published bimonthly in 3 languages: French, English and Dutch. Since 1997, it is the opinion of quilting professionals – and our readers from across the globe – that Quiltmania is the GO_TO in the world of quilts. Our magazine is crafted with passion by top-notch professionals, photographer, designers and technicians. Discover rare and talented quilters, observe some of the most beautiful exhibitions and collections, and revel in the stories surrounding the work. Additionally, explore the 7 patterns/templates provided by skilled designers. Each template, explained and redrawn in both metric and imperial units, will have wanting create a masterpiece of your own. 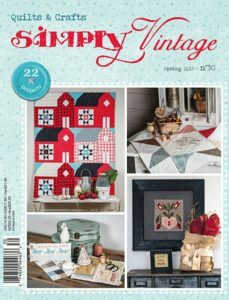 Simply Vintage is a seasonal magazine launched at the latter part of 2011. Our vintage edition exposes you to the best of Country, Folk Art and Vintage styles. Each issue takes you on adventures through cities and small towns and across America. Experience beautiful and unique upcycling and antique shops, stroll through flea markets as well as enjoy some delicious recipes! Each issue features more than 20 detailed projects ranging from quilts, decorative panels, to seasonal accessories. Our projects utilize techniques such as: punch needle, rug hooking, embroidery, wool felt. Simply Vintage magazine is published in two languages: French and English. Launched in the summer of 2015, Simply Moderne is a seasonal (?) 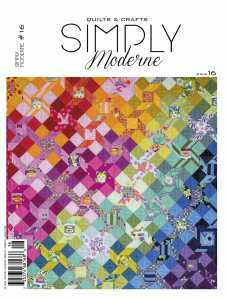 magazine dedicated entirely to Modern quilting. The innovative graphic designs and vibrant color palettes used in modern, reinvigorates the world of quilting, inviting beginners and even those not familiar with this style to embark on a new adventure. We track the latest trends and celebrate creative, fresh new ideas by designers from all over the world. Each issues features 10+ projects presented with full-size patterns/templates along with detailed instructions. Also included is a technical lesson and project, presented by featured designer specializing in modern quilting. Simply Moderne is published in two languages: French and English. Delve into the world of quilting when you subscribe to our magazine(s) and reap our many subscriber benefits which include significant savings off the newsstand price, delivery to your door plus a free surprise gift(s)! You will also automatically receive our weekly newsletter filled with information about sales promotions, new products, events and upcoming shows! Contact our office should you have any questions or need assistance with your order or existing subscription. In addition to our magazines and books, we offer other products like patterns, tote bags and our annual calendar! Sign up for our weekly newsletter online HERE and stay informed! Please see our Frequently Asked Questions (FAQ) section here. If you require further assistance, please contact our office via email here or call us at +888-365-7377.